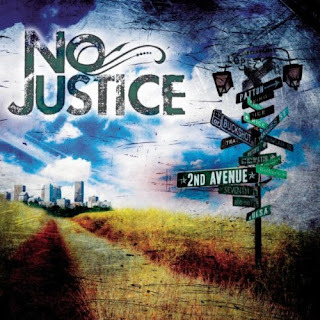 Album Review: No Justice "2nd Avenue"
There's a good reason that Stillwater, Oklahoma's No Justice is at the top of the Red Dirt heap, and "2nd Avenue" proves it one more time. Plain and simple, "2nd Avenue" shows these country boys are as good at rocking the speakers of your pick-up as they are at pumping the country crowds during sold-out shows. The album begins with the upbeat "Goin' Nowhere" which offers a memorable melody. However, the second track is the album's biggest surprise. "WW II" is hard-driving Red Dirt rock track that could find success with both Southern rock and Red Dirt fans alike. The intense title cut "2nd Avenue" is a radio-ready country hit. But the best song on the album is the powerful "5 More Minutes." It offers a stellar vocal performance and deserves to be a radio chart hit in multiple formats. Program directors should give this OAR meets the Randy Rogers Band cut a spin on their playlists. The musical excellence continues with "Just Get Going" and the blues cut "Coming Up The River." The Wade Bowen-esque "Love Song" will be popular with most female listeners, and the final cut "Heart On A Chain" returns No Justice to its humble musical roots. The powerful lyrics combined with the top notch instrumentation make it a musical feast for the ears. Album Review: Peter Rowan Bluegrass Band "Legacy"
Album Review: Long Woodson "Robyville"